I’ve been dying to address this for some time now. Since November, as a matter of fact. But seeing the accomplishment at the Royal Rumble this past Sunday completely denigrated by fans, this is actually the perfect time. You mad, Bro? Well, deal. Like it or not, Nia Jax did indeed make history Sunday. And no one likes it. Or, for that matter… her. It all goes back to November, doesn’t it? When she popped everybody’s favorite, Becky Lynch, in the face by accident leading up to the Survivor Series. Lynch was not cleared to go forward and everybody wanted to riot over Jax. But look what it’s led to. We had time to salivate over Lynch and Rousey sharing the same ring and, come April, that’s happening anyway. So everyone was pissed at Jax for what? Delaying the inevitable? Giving everybody’s Irish Darling the main event at WrestleMania? That was sarcasm, by the way. I get that you all were mad for Jax being “careless” and “dangerous” in the ring because she’s “not a good worker” and she hurt someone. If you believe some of the more wacky conspiracies out there, some of you might even believe she did it on purpose. Yes, that was an accident, too. Everyone conveniently remembers that when it comes to Banks but doesn’t want to apply that to Jax. Why exactly can’t she “work”? Because she doesn’t do somersault planchas or intricate chain moves? Because she doesn’t have the types of matches fans are accustomedto in today’s product? Look at her. Why on earth would anyone expect that out of her? Given her size and presence, she’s a bruiser. As well she should be. Most performers pegged as being part of the “Women’s Revolution” are more athletic and can wrestle like no one’s business. 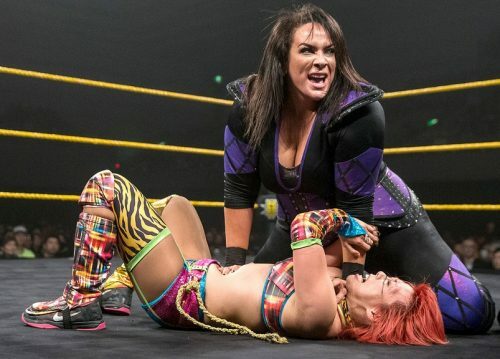 Nia Jax’s theme song spells it right out for you – she’s not like most girls. Can she be a little rough around the edges? Probably. But what she does in and out of the ring, fits her persona. She plays her part and plays it well, in and out of the ring. Yet no one wants to see that. Because, months ago, she popped everyone’s favorite Irish Lass Kicker on accident and hasn’t been forgiven for it since. Despite the fact that Sasha Banks was easily forgiven for a much worse accident. Or is it because she’s supposed to make you hate her, and does it very well? Immediately after Lynch was declared out of the Survivor Series, Jax played up the “punch heard ‘round the world” perfectly. The more she was booed for it, the more she loved it. Because it was heat. That is the mark of a performer who knows what they’re doing, despite popular opinion. And popular opinion sure has it out for her. But, maybe that’s the way she wants it. Maybe that’s her job. And if that’s the case, what exactly is she doing wrong? Other than not being like most girls? BLEACHER REPORT: Which Brand Won the 2019 WWE Superstar Shake-Up?